Today, cryptocurrencies are operating positively after the G-20 summit did not impose strict sanctions to cryptocurrencies. According to a leaked document released by NGO Bitcoin Argentina, the regulations that will apply to cryptocurrencies will be FATF standards. At the same time, the G-20 summit considers cryptocurrencies as crypto-assets. Since the last year the cryptocurrency community was waiting for a clarification about possible regulations to the crypto-market. Some experts in the matter predicted hard regulations, while others preferred to be more cautious. Some days before the Financial G-20 meeting, Mark Carney, Governor of the Bank of England, said that cryptocurrencies do not pose risks for global financial stability. Since then, the markets started to feel that the G-20 may be not so hard as expected. The most important financial leaders all over the world discussed different topics about cryptocurrencies. But the most important one was related to how to avoid, control and reduce illegal activities related to cryptocurrencies. 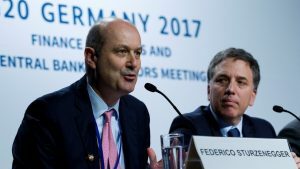 In order to regulate the activities around cryptocurrencies, the G-20 leaders agreed to implement the Financial Action Task Force on Money Laundering (FATF) standards. The FATF or GAFI (in French), was founded in order to combat money laundering and other illegal activities related with terrorism financing. Currently, the G-20 is waiting for the FATF report to be presented in July 2018. The regulations and work on crypto-assets must be clarified and explained in the next months.